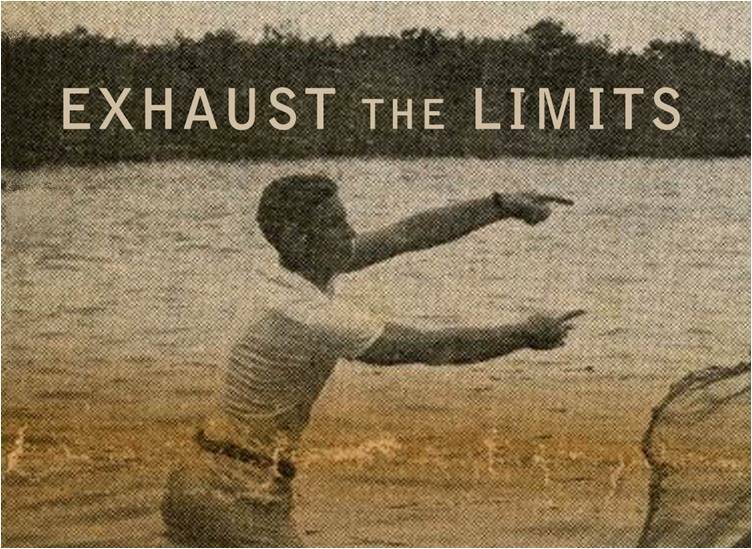 Although our lives have turned out different, I learned in my friend Charles "Chic" Dambach's exciting new book, Exhaust the Limits, that we have much in our personal and professional lives in common. I first met Chic through Paul Stevers, the Canadian entrepreneur and philanthropist who funds orphans, peacebuilding, and counter strategies to terrorism. 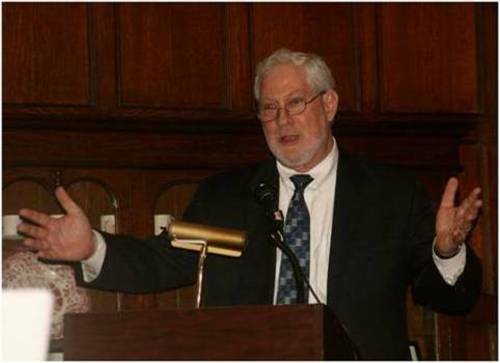 Chic Dambach, President and CEO of the Alliance for Peacebuilding. Chic struck me as a tremendous thought leader and global citizen so I immediately wrote about him (story). In interviewing Chic, I learned much about him - but nothing compared to what I leaned in his riveting and soon to be narrative. Apprentice House of Loyola University Maryland is the publisher, and Amazon, Barnes & Noble and some book stores will carry it starting November 15. Advance signed copies are available at the website www.exhaustthelimits.org. We both hail from Ohio - and we both moved away from the Midwest to the East Coast after a host of foreign experiences internationalized us so that Washington D.C. - and New York - became our global centers. I have devoted the last twelve years to orphan care through Orphans International Worldwide (OIWW) which resonates with Chic more than I realized. I learn in his autobiography his father was an orphan who actually had to run away as his orphanage had been so abysmal. Congressman Sam Farr (D-CA) and Peter Yarrow with the book's author, Chic Dambach. Chic and I are also both fans of Peter, Paul and Mary. 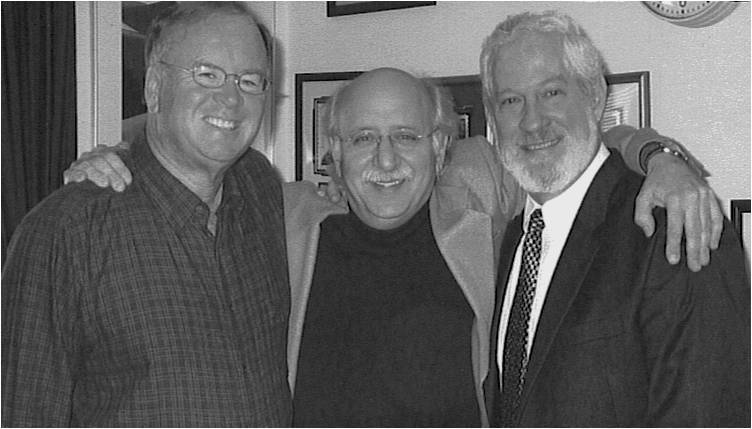 More than that, our mutual friendship with Peter Yarrow has impacted our saving the world. Chic worked with Peter's organization, Operation Respect, and Peter sits of the Global Advisory Board of my orphan project, OIWW. Starting that year I had a brief but intense flirtation with evangelical Christianity. I was "saved" and joined Campus Crusade for Christ; read the entire Bible, witnessed for the Lord, and attended Billy Graham's rallies. However, it didn't take long to realize that whole the Bible offers profound guidance, it is also seriously flawed. The books of Leviticus and Deuteronomy, for example, are downright dreadful. My parents were particularly involved in civil rights and protesting the Vietnam War. Chic describes his presence on the Mall of Martin Luther King's I Have A Dream speech which affected Chic profoundly. "This dream became my mission," Chic writes. 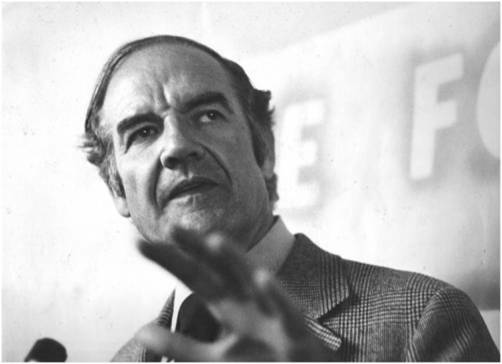 My brother took this picture of George McGovern as he ran for president in Ohio, 1972. Although I was only twelve, I worked very hard to elect George McGovern president in 1972. Chic actually met McGovern on several occasions and was a strong supporter as a result. As Chic writes, "McGovern was right. The war (in Vietnam) was wrong." Chic and I share many of the same heroes: Dietrich Bonhoeffer, Paul Tillich, Martin Buber, and Albert Camus. Chic also knows well many people I have met only briefly but greatly admire: Bill Clinton, Carol Bellamy, and Harris Wofford to name a few. Chic has dealt with so many people I admire but have never met: Hubert Humphrey, Sargent Shriver, Jimmy Carter are among many examples. He even had dinner with Fidel Castro in Havana as part of a U.S. Olympic Committee delegation. Our commonalities continue through Colombia. Although I was in Bogotá through the Great Lakes College Association (GLCA), Chic was there with the Peace Corps. We both stayed with middle-class Colombian families through the auspices of CEUCA, now defunct. Bogotá was a large and crowded city of two million high in the mountains where buses were jammed with passengers on the inside and half a dozen fearless others hanging onto the outside. There were few a prosperous neighborhoods and elegant hotels like the famous Techendama, surrounded by sprawling, unspeakable poverty. We were there to deal with the poverty. During training, we lived with host families in modest but not impoverished neighborhoods. It was part of a gentle transition towards the real thing. They spoke no English and at the time my Spanish was miserable. We communicated primarily by hand signals. On my first trip a chilling rain filled gullies with yellow-brown clay saturated water and it carried trash and sewage alike downstream to an unknown destination. There were no schools for the children; no one could read nor write, and unemployment exceeded 70%. They survived by begging and stealing and I came to view both professions as noble. When your family is starving you do what you must to survive. To me it was Hugo's Les Misérables come to life. For the first time in my sheltered and protected life, I came face to face with reality for the billions of people who miss meals regularly because they have no food. I felt troubled and inept, and I've never been fully comfortable since that experience. Why was I born into affluence when so many people are born into so little? Where is the justice? Any effort to promote broader allocation of NEA resources into "community" rather than "elite" institutions met with serious resistance from our local colleagues with the American Symphony League, American Association of Museums, Opera America, etc. All federal funding for the arts, they contended, should go to institutions judged (by them) to be the very best in the nation. I discovered Turfism when I tried to work with my alma mater as a student to add Japanese language to the curriculum. The foreign language pie was only so large, and the French, German, and Chinese language/culture professors sabotaged my attempts to cut another slice. Chic and I share as many differences as we do similarities. The biggest difference is that he was a star athlete and even trained in Olympic canoeing. He has retained a life-long appreciation for sports. I know next to nothings about athletics, although I rowed crew in school. Another story that runs through Chic's excellent book is the challenge s his son Kai has had with his health. A father myself, I realize nothing hurts a partner more than standing by helplessly as your child is hurting. Chic and his son have triumphed over serious illness, with the support of his wonderful wide and second son, and this medical miracle has colored Chic's sense of life. Chic's work coordinating Peace Corps returnees back into the field following the genocide in Rwanda is perhaps the most riveting part of Chic's book. I recently met an orphan given refugee status in America years ago who watched his Hutu mother and Tutsi father killed in front of him as a child - the atrocities there remain indescribable. The enormous impact Chic made in settling disputes between Eritrea and Ethiopia is equally riveting, although, as most Americans, my own ignorance on events in that part of Africa dampen my understanding and appreciation of what appears to have been Chic's Herculean efforts. At the time, the entire U.S. foreign affair budget was barely 1% of the federal budget. That included every penny for embassies, the U.N., development assistance, educational exchanges, and arms control. Furthermore, the U.S. Government contributions to social, political, and economic development was the smallest, not the largest, among all developed nations. This, of course, ran absolutely counter to the public perception. Most Americans believe foreign aid alone consumes 15-25% of the federal budget and that the U.S. alone carries the burden of foreign aid. It is a myth. They hate us because -- from their perspective -- we have humiliated them, occupied their land, and exploited their resources. Now, U.S. planes without pilots fire explosives into their homes with impunity. U.S. military bases in Arab countries are insulting. We would react much the same way if Arab military bases were to be built in Kansas and Georgia. How, then, can enlarging our military presence and dropping bombs on Muslim populations overcome extremists. A few more anti-terrorism strategists need to read Three Cups of Tea if we ever hope to turn the tide. This is a struggle between extremist elements and moderates -- regardless of theology, geography, or ethnicity. When we resort to the tactics of the extremists, we are no better, and we will lose. I fear we have come close. This crisis calls for a new and different strategy, one based on building up vulnerable societies and winning allies rather than killing perceived potential adversaries and destroying their homes and their societies. Fortunately top U.S. policy makers seem to be learning these lessons, we are behaving better, but much of the damage has been done. With support from philanthropist Paul Stevers, the Alliance for PeaceBuilding is developing a new "Peace through Moderation" project to support citizen-based initiatives to help overcome extremist movements that lead to violence. I am convinced we can do more to reduce extremism and the threat of terrorism with a few million dollars than our military can with tens of billions. Throughout history, ethnic groups, religious sects, tribes and nation states have wantonly resorted to violence -- open warfare -- to assert and impose their will. When my children study world history they study the story of war and few people anywhere believe it will ever change. But that is what we are doing. We are changing it. It is too early to prove we can change the course of history, but that is our aspiration and there is reason to believe we are on the right path. The concept of citizen diplomacy emerged in the United States following World War II with tremendously important exchange programs like Sister Cities, AFS, the Experiment in International Living, and of course the marvelous Fulbright Scholars Program. Rotary International and other civic organizations add a vital dimension to the mix. My favorite, the Peace Corps, was created in the Cold War climate to build friendships and mutual understanding in remote parts of the world. All of this helped tear down walls and build bridges as a foundation for a more peaceful world. CARE, Catholic Relief Services, WorldVision, Mercy Corps, and many other relief and development agencies have incorporated conflict resolution into their services because social and economic development initiatives depend on it. This is new. Private citizens are leading the way, but the U.N. and many national governments are also part of the cause. Together, we are designing and building a pathway to peace. I wish it could be a super highway, but a walking path will do for now. It's up to you to complete the task. It can happen in your lifetime. You will make it happen. 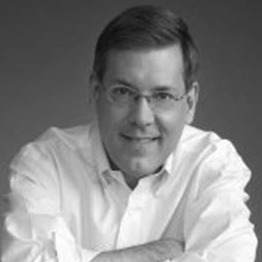 I am thankful for the quiet determination that thought leader and global citizen Charles "Chic" Dambach has brought to our world. Literally tens of thousands of lives have been saved around the globe through his brave efforts. I thoroughly enjoyed Chic's book Exhaust the Limits and highly recommend it. The story of one man who makes a difference inspires us all. Buy the brilliant book by Charles F. 'Chic' Dambach, "Exhaust the Limits" -- the life and times of a global peacemaker -- on-line here.